Like what happens every year, the Super Bowl dominated the ratings when it aired last night. One of the most highly anticipated parts of the annual sporting event is definitely the Super Bowl movie trailers. 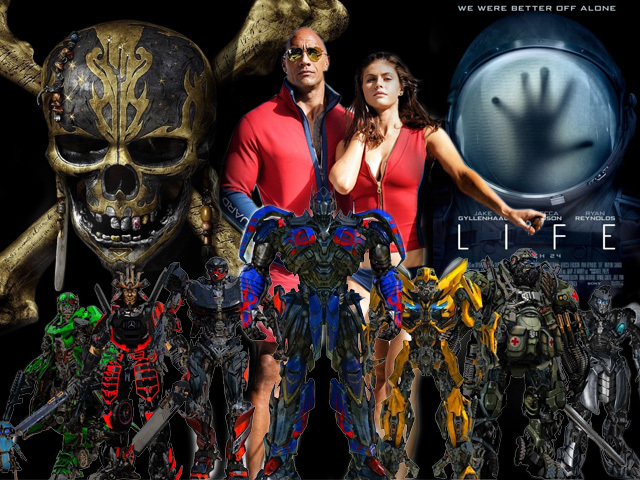 Eager fans have waited all year for minute-long teasers of upcoming blockbusters. While there may have been an overflow of Dwayne “The Rock” Johnson in the trailers that aired, they still managed to ignite a sense of excitement to cinemagoers. For those who did not get a chance to catch Super Bowl movie trailers, don’t fret as Explore Talent is delivering them straight to your screens below. Life shamelessly copies the whole premise of the Alien movies by Ridley Scott. Based on the trailer, you can see a group of unlucky astronauts on an ill-fated voyage to outer space. After the charming old-school music wears off, the mood shifts from happy to immediate horror as the alien life form they obtained starts to wipe out the crew one by one. It isn’t exactly an original idea, but seeing not one but two of Hollywood most talented actors, Jake Gyllenhaal and Ryan Reynolds, join forces on the big screen makes Life worth watching. The most highly anticipated of all Super Bowl movie trailers had to be Pirates of the Caribbean. It’s been six years since audiences got to see Captain Jack Sparrow on the big screen, and his triumphant return definitely did not disappoint. Though actor Johnny Depp may have been experiencing some problems in his personal life right now, it doesn’t dampen how much hype this upcoming film is getting. Joining him in the battle at sea is Javier Bardem as black-toothed pirate Captain Salazar. If there is one thing Super Bowl movie trailers have in common this year, it’s that a majority of them are sequels. The second installment of the Guardians of the Galaxy franchise is filled with quirky one-liners as well as the introduction of the hilarious newcomer named Mantis. While it is not clear what these lovable outlaws are going against, it looks like audiences are still in for an exciting new adventure—not to mention a whole lot of Baby Groot. As far as blockbuster sales for Lucy and Her goes, Scarlett Johansson has proven time and time again that she is the perfect fit for sci-fi movies. But this doesn’t make her immune to the controversy surrounding the upcoming Ghost in the Shell movie as the production team was accused of white-washing the Asian protagonist. Despite the setback, the upcoming film is one of the most popular Super Bowl movie trailers that aired. Among the two films Dwayne Johnson is set to star in, The Fate of the Furious had more viewers hooked. His other feature, Baywatch, was shown, but all the shirtless action wasn’t enough to keep people interested. The next installment features Vin Diesel‘s Dom Toretto going rogue. What exactly drove Toretto to go against his family? Well, you’ll have to watch the movie to find out.